Antoinette Brown, later Antoinette Brown Blackwell (May 20, 1825 – November 5, 1921), was the first woman to be ordained as a minister in the United States. She was a well-versed public speaker on the paramount issues of her time, and distinguished herself from her contemporaries with her use of religious faith in her efforts to expand women's rights. She was the only person involved in the 1850 Women's Rights Convention to see the Nineteenth Amendment to the Constitution passed, which gave women the right to vote. The honor of being the first woman to be ordained as a Christian minister in the United States, even without her efforts to promote women's rights, is itself an enduring legacy. Antoinette Brown was born in Henrietta, New York, as the daughter of Joseph Brown and Abby Morse. After daring to inject a prayer into her family's religious observance, she was accepted into her family's branch of the Congregational Church at age nine. She spoke in church in throughout her youth. She studied at the Monroe County Academy and taught there as well for a few years, but soon decided that God meant for her to become a minister. Brown attended Oberlin College, which was a Christian school and the first coeducational college in the country. Early on, she faced hardship and differential treatment due to her gender. As a woman, she was not permitted to learn public speaking or rhetoric, nor was she allowed to speak publicly in her coeducational courses. 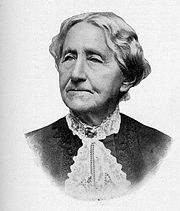 She graduated from Oberlin in 1847, and studied at the Oberlin Seminary until 1850, when she was refused a degree and ordination due to her gender. Without a preaching license following graduation, Brown decided to pause her ministerial ambitions to write for Frederick Douglass' abolitionist paper, The North Star. She soon spoke at a women's rights convention, giving a speech that was well-received and served as the beginning of a lasting speaking tour in which she would address issues such as abolition, temperance, and women's rights. The Congregational Church of South Butler, in New York, inducted Brown as minister on September 15, 1853, making her the first woman ordained minister to a regular Protestant denomination in the United States. Not long after, she also became the first woman to officiate a message. Although she was discontent with some of the Congregational ideologies, Brown stayed as the pastor of the church. She later left the Church due to illness, as she was no longer able to preach. Following her separation from the ministry, she focused increasingly on women's rights issues. While many women's rights activists opposed religion on the basis that it only served to oppress women, Brown was steadfast in her belief that women's active participation in religion could serve to further their status in society. Unlike many of her peers, she cared more about improving women's status in society than only about suffrage. She believed that the inherent differences between men and women limited men's effectiveness in representing women in politics; thus, suffrage would have little positive impact for women unless it was coupled with tangible leadership opportunities. Brown also diverged in opinion from other reformers with her opposition to divorce as a means of easing women's marital restrictions. With regard to her own prospect of marriage, Brown believed that it was best to remain single, because single women experienced greater levels of independence than married women. Upon meeting Samuel Blackwell, her opinions began to waver in favor marriage. The two married in 1856, and had seven children, two of which died in infancy. Brown continued her career until domestic responsibilities, combined with her disagreement with many aspects of the women's rights movement, caused her to discontinue lecturing. Writing became her new outlet for initiation of positive change for women. In her works, she encouraged women to seek out masculine professions, and asked men to share in household duties. However, she retained the belief that women's primary role was to be the care of the home and family. Brown was the author of several books in the fields of theology and philosophy. She also combined science and philosophy, writing The Sexes Throughout Nature in 1875, in which she argued that evolution resulted in two sexes that were different but equal. She also wrote a novel, The Island Neighbors, in 1871, and a collection of poetry, Sea Drift, in 1902. In 1869, Brown and her friend and partner, Lucy Stone separated from other preeminent women's rights activists to form the American Woman Suffrage Association in support of the Fourteenth Amendment to the Constitution. In 1873, she founded the Association for the Advancement of Women in an attempt to address women's issues that similar organizations ignored. She was elected president of the New Jersey Woman Suffrage Association in 1891, and helped found the American Purity Association. She also lectured during this time, on behalf of the poor of New York City. Oberlin College awarded Brown her honorary Master's and Doctoral degrees in 1878 and 1908, respectively. In 1920, at age 95, she was the only participant of the 1850 Women's Rights Convention, in Worcester, Massachusetts, to see the passage of the Nineteenth Amendment to the Constitution, which gave women the right to vote. She voted for Warren G. Harding in the 1920 presidential election. Antoinette Brown Blackwell died at the age of 96, in 1921, in Elizabeth, New Jersey. She was inducted into the National Women's Hall of Fame in 1993, for her work towards women's suffrage and rights, which is how she is most often remembered. Her legacy has also inspired other women to enter the ministry. History of "Antoinette Brown Blackwell"
This page was last modified on 21 November 2016, at 15:49.